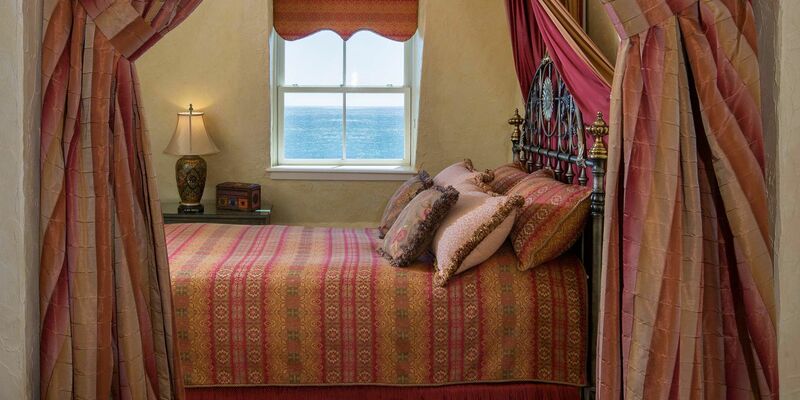 Settle into an oceanfront Newport hotel junior suite embodying the Mediterranean Revival design style. 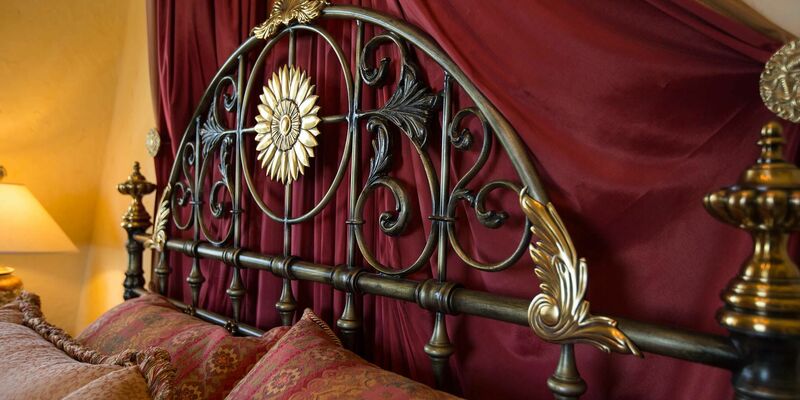 Introduced in the United States in the waning nineteenth century, the style incorporates references from Spanish Renaissance, Spanish Colonial, Beaux-Arts, Italian Renaissance, and Venetian Gothic architecture. Peaking in popularity during the 1920s and 1930s, the movement drew heavily on the style of palaces and seaside villas and applied them to the rapidly expanding coastal resorts of California and Florida. 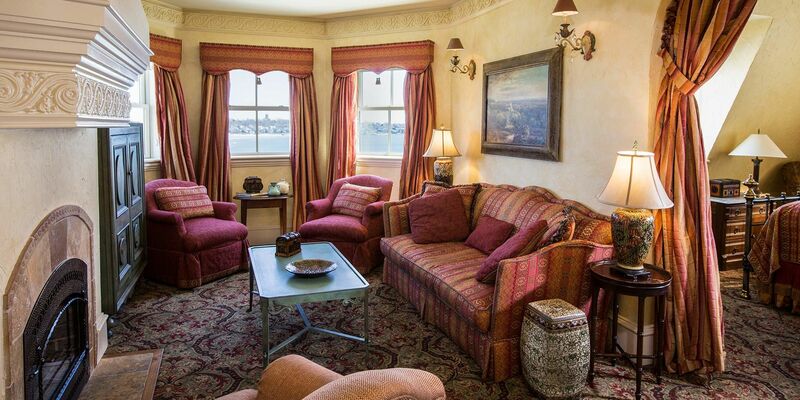 This chic choice in luxury Newport accommodations boasts a plush Queen bed, classic stucco walls, carved-wood chandelier and six-foot double Jacuzzi tub. While staying with us, consider the following tailored activities to complete your stay. Indulge in the relaxed Mediterranean lifestyle by booking a massage in Newport to enjoy in the comfort of your room, after which you can have a soak in your six-foot double Jacuzzi tub. Visit this oil and vinegar specialty store in Newport to pay homage to the fact that 95% of the world's olive oil is produced in the Mediterranean region.